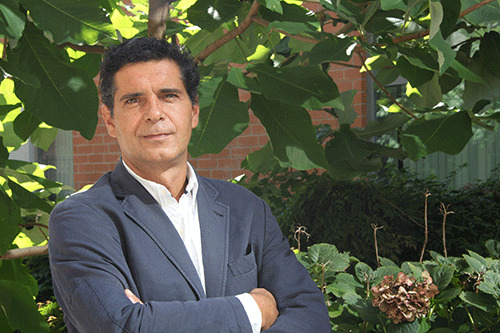 The Temple in Spain program is led by Program Director Dr. Jaime Durán, a native of Oviedo. Dr. Durán studied as an undergraduate at the University of Oviedo and obtained his PhD in Spanish literature and culture from Temple University, where he currently teaches. As Program Director, Dr. Durán is responsible for overseeing the academics of the program, facilitating students' transition to the University, and providing support for student issues. Administration for the language program is housed in the University of Oviedo's La Casa de las Lenguas, a center dedicated to language learning. Dr. Durán developed Temple’s Spain summer program as well as the spring semester program. He has directed and taught in the summer program since 2003 and the spring semester program since 2008. Other program instructors are University of Oviedo faculty and lecturers from various departments, many of whom specialize in the teaching of Spanish as a foreign language. First, I thank you for your interest in our Spain programs. If you are looking for a life-changing experience, you have come to the right place. Temple University’s Study Abroad in Spain semester and summer programs are based in the city of Oviedo (my hometown), an ideal location for immersing yourself in Spain's language and culture. Studying abroad in Oviedo will provide you access to a transformative personal and academic experience, which is likely to mark a before and an after in your life. Most importantly, it will grant you access to a most powerful tool these days: perspective, something that gives us reference as to where we stand and who we are, by becoming aware of where and how other peoples in the world choose to live their lives and articulate their existence. I assure you, in addition to your language skills, this perspective can prove to be one of your greatest assets both personally and professionally. Please explore our spring semester and summer programs, and I look forward to being a resource for you as you experience all that Spain and Oviedo have to offer!